Helm (Luke Younger) è sound artist e musicista sperimentale londinese. Lavora con un'ampia gamma di strumentazioni e fonti sonore, costruendo un denso paesaggio uditivo che si riallaccia a musica concreta, poesia sonora, noise. Helm si impone all'attenzione con l'uscita nel 2011 dell'LP Cryptography, studio compositivo elettro-acustico suddiviso in cinque sezioni. In questo lavoro, come in quelli successivi, Luke Younger si concentra sull’armonizzazione di elementi sonori di derivazione acustica ed elettronica. E' un suono che sterza attraverso un paesaggio cangiante di territori marginali: droni glaciali, orchestre gamelan, muri di feedback, il tutto fuso in una suggestione post-industriale. Prima di approdare a questa carriera in solo, Younger ha lavorato per dieci assieme a Steven Warwick, nel pionieristico progetto Birds of Delay. Segue inoltre una piccola etichetta, Alter, con la quale ha prodotto artisti come Hieroglyphic Being e Richard Youngs. 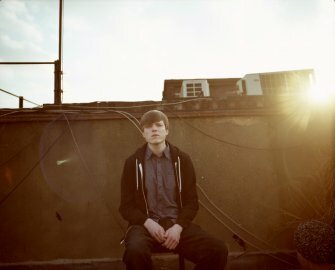 Helm is Luke Younger - a sound artist and experimental musician based in London, working with a vast array of revolving instrumentation and abstract sound sources. Younger's compositions build a dense aural landscape that touches on musique concrete, uncomfortable sound poetry, noise, and hallucinatory drones. His last LP Cryptography, presented a five-part suite of expertly rendered electro-acoustic study. Younger creates a world where these instruments morph into spectral rust, a shimmering klang swims alongside passive noise and the relationship between acoustic and electronic derived sounds forms a solid foundation. The sound is steered through a melange of fringe territories: glacial drone meditations, reconfigured gamelan clusters, and howling walls of organized feedback, all coalesced in a post-industrial fashion with a commitment to homemade exploratory zeal. For the past ten years, Younger has performed extensively in Europe and the US with Steven Warwick as pioneering avant-drone duo Birds of Delay. He also runs a small record label, Alter, with which he has produced artists such as Hieroglyphic Being and Richard Youngs.